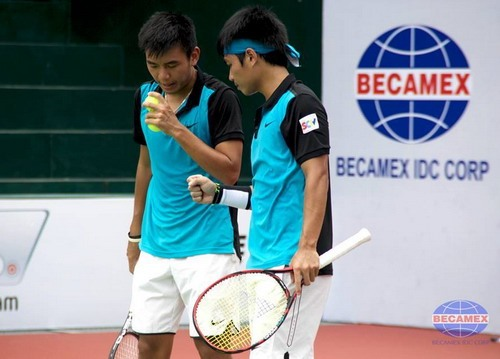 Hanoi (VNA) - Nguyen Hoang Thien and Ly Hoang Nam advanced to the quarter-finals of the men’s doubles in the Thailand F5 Futures tennis tournament. The No 3 ranked duo from Vietnam defeated Chiu Yu Hsiang (Chinese Taipei) and Darren Polkinghorne (Australia) 6-4, 6-4 in the first round match held at the National Tennis Development Centre in the central Thai province of Nonthaburi. Their next rivals have not yet been identified.